Michael C Hall phones home as he leads off the Newport Beach Film Festival for his starring role in East Fifth Bliss. In ‘East Fifth Bliss,’ Hall plays a schlubby underachiever — a far cry from his serial killer on ‘Dexter.’ It’s one of 450 films movies screening. 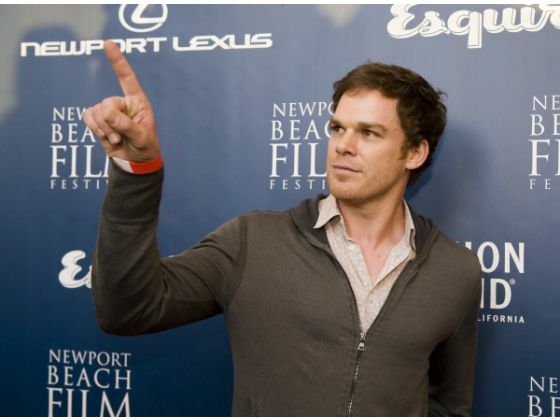 Michael C. Hall was happy to trade in his titular role as a serial killer on “Dexter” for a schlubby underachiever in the new independent film “East Fifth Bliss.” The film gets its world premiere Thursday night at the opening of the Newport Beach Film Festival.